What’s New? 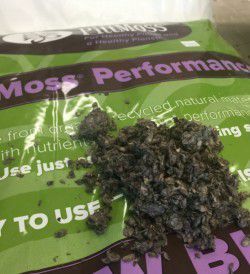 PittMoss – 100% recycled and plants love it! New to our Lawn and Garden department this year is PittMoss. As the name suggests, this product is actually made right here, in Pittsburgh! The company is based in Ambridge and they are making a recycled fiber mix that is perfect as potting soil and perfect as a soil conditioner. One touch of this product and you know that it is different. It actually has a texture that is very much like paper. It is lightweight and has no soil, or peat components. That means that you don’t have to worry about fungus gnats either! What a great benefit, because these little flying gnats are such a big nuisance for so many of us at this time of the year. Because this product is 100% peat free, using PittMoss means that you are conserving the destruction of peat bogs which only make up 3% of our planet but pull out more carbon from our atmosphere than any other environment. In fact, PittMoss is made from recycled newspaper. It’s paper that would normally have gone to landfills, but it is now being repurposed and used to benefit our gardens. This product may not sound very moisture retentive compared to other potting soils, however, it can holds up to 50% more moisture than typical peat moss mixes.